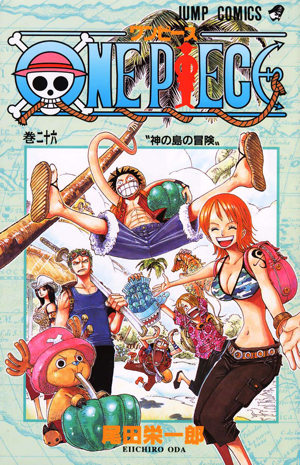 Watch anime online, stream anime episodes for free, you are watching One Piece Episode 414 English version online and free episodes. Anime Episode guide, Chapter One Piece Episode 414 English Subbed All-Out Special Power Battle!! Gum-Gum vs. Snake-Snake Luffy activates Gear Second and gains the upper hand. Desperate to finish him off, Marigold and Sandersonia attempt to finish him off with their strongest moves, but Luffy fights them off and ties their tails together. Marigold’s fire attack accidentally burns the clothes off Sandersonia’s back, prompting Hancock to order everyone to evacuate or risk seeing the “Gorgon Eyes”.